At lunchtime I was pleased to briefly attend the final event of the 'Lang Wye Roond' this was a motorcycle trip organised by the Wildcubs M.C.C. designed to raise funds for the Brittle Bone Society. The event was at the Riverside Inn. It was good to see people going out of their way to help raise funds for this important charity which is based in Dundee. Well done to everyone who took part. On Saturday morning I joined Jim McGovern MP, Councillor Mohammed Asif and Labour Party members collecting signatures for our petition against cuts in the NHS imposed by the SNP Government. My colleague Marlyn Glen MSP has been at the forefront of the campaigns against this mistaken policy. You can hear what Marlyn Glen and Iain Gray have to say on this here and also sign our petition. Everyone knows that times are tight - but people across Scotland are furious that the SNP government has chosen to axe almost 4,000 NHS posts this year - including over 1,500 nurses. 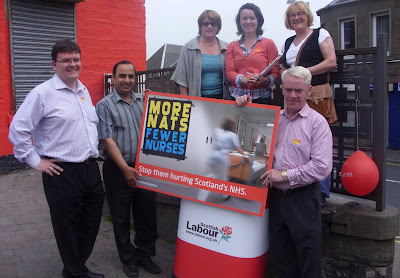 Locally in Tayside Scottish Government figures state that 495 jobs will be lost including 158 nursing and midwifery jobs. The response on the street was one of shock with many people more than willing to sign the petition. The Conservative-Liberal Democrat Budget has removed the tax breaks for the computer games industry which Labour intended to bring in. I welcomed these moves when Alistair Darling announced them earlier this year. Jim McGovern, Marlyn Glen and Iain Gray have been making their voices heard in opposition to this change of policy which will hit Dundee hard. I am also glad that there are those in parties other than Labour who recognise that Labour's approach to this issue was beneficial to Dundee, Scotland and the UK. The trade body for the Games Industry TIGA has also condemned the Coalition Government's removal of tax breaks. I was interested to hear the budget proposals of the Conservative-Liberal Democrat Government. I agree with Jim Murphy MP when he says that this is a budget that 'picks on the poor.' Cuts to tax credits, pregnancy grants taken from new mums, child benefit frozen for years, support for disabled people being cut, housing support slashed, attacks on the public sector - this government has already proved that they are the same old Tories. 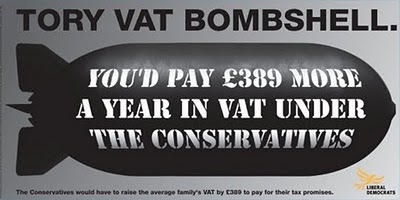 Raising VAT is a regressive move, it will hit the poorest hardest. The poster above which was launched during the election campaign may give the impression that the Liberal Democrats were opposed to this but it appears that it really meant that they supported it. This budget will also hold back economic growth, growth is the best way to cut the deficit. Monday evening saw a meeting of the Development Quality Committee. There were a few interesting applications. I voted against a development of new houses in Alloway Place but this went through on the Convener's casting vote. I am sad at the news that St Francis Church (the Friary) in the northern part of the West End ward is to close. I have a great deal of sympathy with the community associated with the Friary. I am seeking a meeting with church authorities to find out what will happen to the site. I was very sad to hear the news that the Friary is to close. I know that it is a church that is well-loved, I also know that there can be few people in Dundee who haven't been to a social event in the Friary Hall. I have every sympathy for those who regularly attend the Friary and who will be very upset at this news. 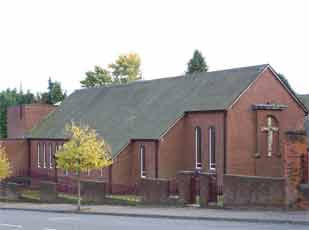 I am seeking a meeting with church representatives to find out what is going to happen to the site. This is a large and prominent site and I am keen to know what will become of it. 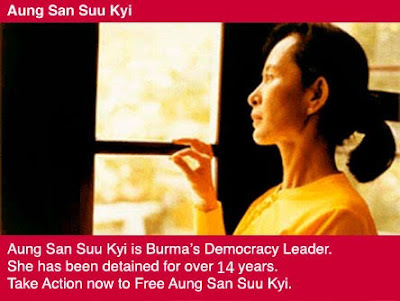 Aung San Suu Kyi celebrated her 65th birthday on 19th June in detention in Burma. I was pleased to be able to support moves to give Aung San Suu Kyi the Freedom of the City of Dundee and I continue to support efforts to secure her freedom. I am supporting the action by the Burma Campaign UK to ask UN Secretary-General Ban Ki-moon to ensure that concerted action takes place to bring about democracy, reconciliation and freedom in Burma. You can also take part in this by clicking here. I was delighted to be at Victoria Park to take part in the inaugural day of the first WestFest. I think that the event was a great success. 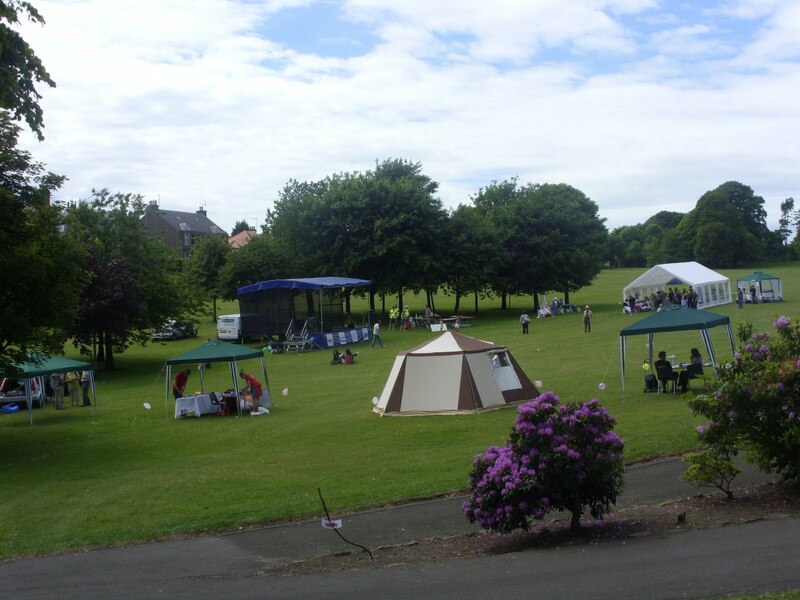 It was great to see local people of all ages enjoying the nice weather and enjoying the entertainment. There was a wide range of events for all the family. Over the rest of the week there are lots of other interesting events which will take place. As a local resident I am very pleased to see local people getting together and promoting activities which bring the local community closer together. Well done to everyone concerned with WestFest and I hope that the rest of the week is a great success. 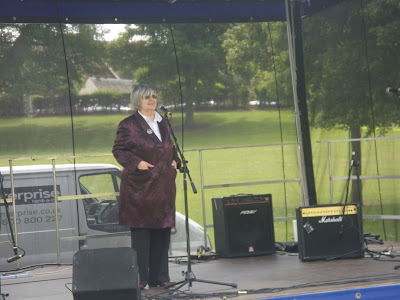 The photographs show the scene before the start of the event with the various marquees and stages etc and the other photograph show Dundee's own Sheena Wellington opening the event. Please visit the WestFest website for the programme. 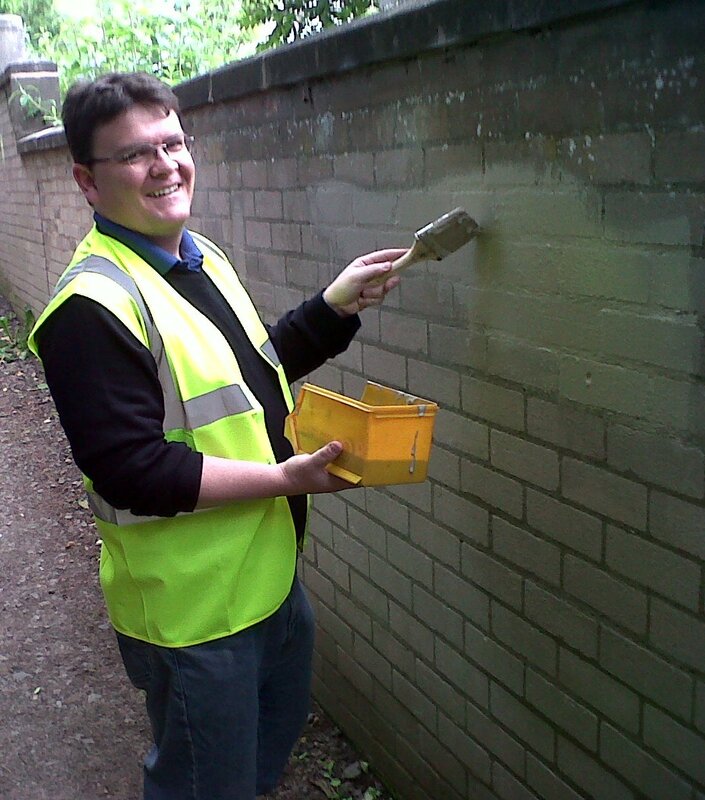 On Saturday I joined a group of fellow West Enders in some more anti-graffiti work in the West End. I was pleased to see council officers, members of the public and local councillors working together on Saturday to deal with the scourge of graffiti. Local people in the West End have raised their concerns about the blight of graffiti. I am pleased that local people have done something about this problem. I hope that the new council policy which was approved last week will deal a blow to those who blight our area with graffiti. Local people should not have to tolerate graffiti, there should be zero tolerance of graffiti.